They work for the Komsomolskaya Pravda daily. The State Border Service (SBS) has denied entry to Ukraine to two Russian journalists, effective for three years, SBS press secretary Oleh Slobodyan has said on Facebook. 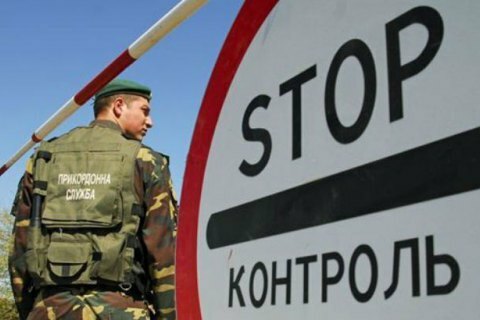 "This morning the State Border Service did not let two more journalists of a Russian publication cross the border and denied them entry to Ukraine for three years. They violated the legislation of Ukraine and visited the temporarily occupied peninsula through temporarily closed checkpoints," he said. They were accredited to cover the 2017 Eurovision Song Contest hosted by Kyiv. As reported later, Mariya Remizova and Elena Boduen, special correspondents of the Russian daily Komsomolskaya Pravda, were made to leave the train to Ukraine. Earlier, border guards barred Russia Today photo correspondent Ramil Sidtikov from Ukraine. Russia refused to broadcast the Eurovision Song Contest after Ukraine denied entry to Russian contender Julia Samoylova because she illegally visited Crimea in 2015.